SPM18100 DX18 GEN 2 system is in stock. HBZ8100 Super Cub S RTF with Safe Technology is in stock. HBZ8180 Super Cub S BNF with Safe Technology is in stock. Published by Alan Hayes, in New In Stock, Planes, Radios. EFL10450 Carbon Z Cub BNF Basic is back in stock. SPMR9900 DX9 Tx only is back in stock. Published by Alan Hayes, in Planes, Radios. 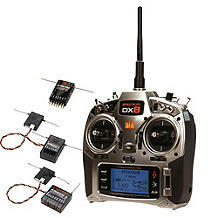 Spektrum ‘s new AR610 2.4GHz DSMX receiver is now in stock. 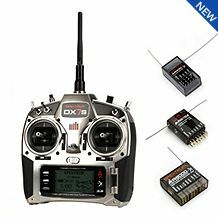 Antenna is amplified for better clarity and is flight log and telemetry compatible. Designed for parkflyers to .90 size sport aircraft. Visit the Spektrum site for more info. Just received Spektrum SA5030 mini digital aircraft servos. Visit Spektrum for more information on this money saving combo! 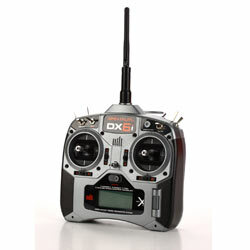 For a limited time Spektrum is offering their DX6i w/2-free AR6115E receivers. Published by Alan Hayes, in New In Stock, Radios.